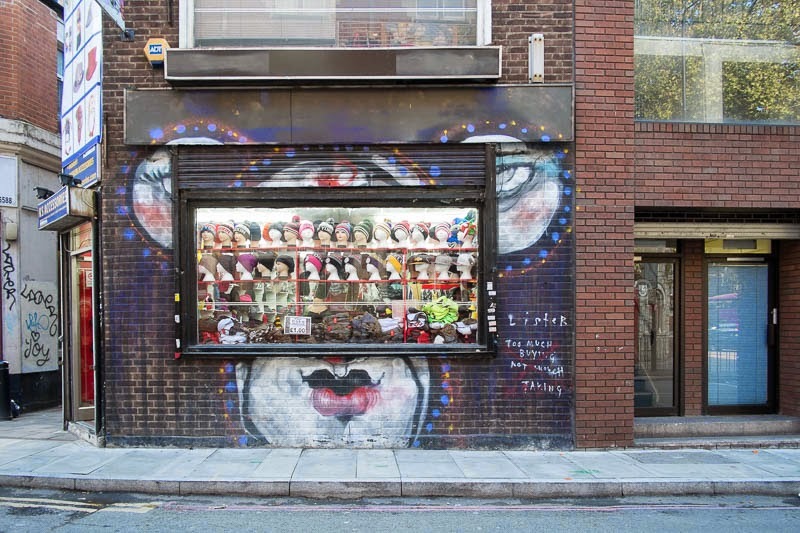 Fresh eyes on London: Consumerism? "Too much buying not enough talking" is what is written on the wall, while the art frames a shop window. Hmmm, there might be some truth to that statement. I believe the writing is correct ! I wonder if the store owners agree with that sentiment.